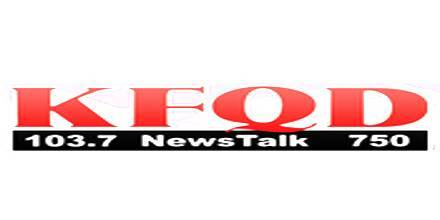 KFQD is an online based radio station from Anchorage, Alaska in service on 750 AM and 103.7 FM. It is Alaska’s first radio station brings you daily news and talk. Alpha Media LLC is the owner of this radio station. First air date of KFQD was May 17, 1924; it was one of the first radio stations in Alaska. It is owned by Alpha Media LLC and broadcasts in a news/talk format. This radio station also simulcasts the newscasts of Anchorage television station KTUU. Alpha Media is a different multimedia company sharing your favorite news, talks, music and sports-related programs transversely a variety of platforms. Whether it’s on your phone, desktop, tab, Home or in your car, this radio stations will amuse your journey. Alpha Media was created by veteran radio administrative, Larry Wilson in August 2009 and was initially named Alpha Broadcasting. Alpha Broadcasting at first acquired six Portland radio stations; KINK-FM, KUPL-FM, KUFO-FM, KCMD-AM, KXL-AM, and KXTG-FM. In the beginning of 2016, Alpha Media acquired 114 stations from Dignity, LLC. Today, the company owns or operates 228 radio stations within 50 markets across the US. KFQD Radio station under Alpha Media have also a commercial platform, they make most of their revenue by selling airtime to be used for running radio advertisements. You can broadcast your product or services advertised by this radio station. 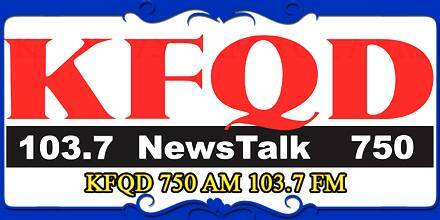 To buy an add or airtime, or get more information on radio advertising rates, please contact- 907.522.0750, and official website- www.kfqd.com. Daily Programs: KFQD Morning News, Markley & Van Camp, Dave Stieren, KTUU-TV News, Clark Howard, Ground Zero, The Chad Benson Show etc. Weekend Programs: Big Alaska Show, CBS 60 Minutes, CBS Weekend Roundup, Great American Outdoor Trails, Handel on the Law, Jill on Money, Kin Komando, Meet the Press, Tech IT Out, Science Fantastic, The Twilight Zone etc. Just click radio website for programs schedule. Liveonlineradio.net has KFQD Radio in its listings. Just click and enjoy. Heart UK, Turn Up The Feel Good!